Oceans inc: Can a high-tech navy coexist with marine mammals? Can a high-tech navy coexist with marine mammals? Summit County — In a preliminary assessment, federal biologists said the mid-frequency sound generated by active sonar, the sound and pressure generated by detonating explosives and other activities associated with naval exercises are not likely to have a significant impact on protected marine species. Nevertheless, the National Marine Fisheries Service is proposing a new rule to minimize impacts from naval training activities, including mitigation zones and observers trained to spot marine life during exercises. The rule also calls for implementing a stranding response plan that includes a training shutdown provision in certain circumstances, and allows for the Navy to contribute in-kind services to NOAA’s Fisheries Service if the agency has to conduct a stranding response and investigation. It would also designate a humpback whale cautionary area to protect high concentrations of humpback whales around Hawaii during winter months. Those steps don’t go far enough protect marine life, said Miyoko Sakashita, oceans director at the Center for Biological Diversity. “Many whales and other marine mammals, like Hawaiian monk seals, are already struggling for survival. Now the Navy’s going to intensify war games in their habitat?” Sakashita said. We’re learning more and more about the tragic effects of sonar on whales and dolphins, yet the Navy’s being given carte blanche to blast the oceans with it and harm animals over and over again,” she added. The agency believes the proposed mitigation measures will minimize the potential for injury or death and significantly reduce the number of marine mammals exposed to levels of sound likely to cause temporary loss of hearing. Federal biologists would also consider the best available science under an adaptive management regime that would require annual meetings to decide if modifications to mitigation or monitoring measures are appropriate. The Navy is also developing a comprehensive monitoring plan with input from NOAA biologists aimed at protecting marine resources. 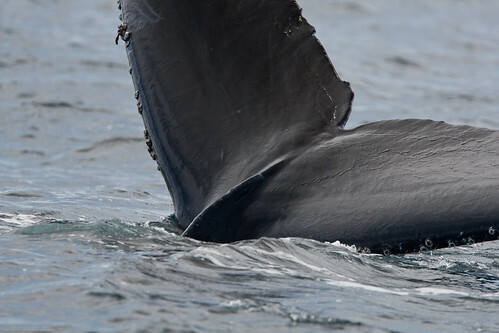 The Center for Biological Diversity claims the Navy’s mid-frequency sonar has been implicated in mass strandings of marine mammals. In 2000, 14 beaked whales and several other marine mammals stranded themselves in the Bahamas in response to U.S. Navy vessels operating offshore mid-frequency sonar. Necropsies revealed bleeding around the animals’ ears and brains. The entire Cuvier’s beaked whale population disappeared from the area after the incident. In 2003, 14 harbor porpoises were stranded during Navy sonar training in Puget Sound. In 2004, hundreds of melon-headed whales were driven into Hanalei Bay, Hawaii by Navy exercises.